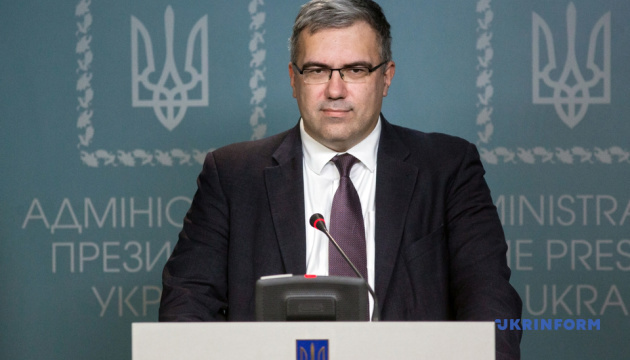 Most of the local Orthodox Churches have recently adopted a positive wait-and-see position regarding the future recognition of the independent Ukrainian Orthodox Church.This was announced by Council to the President of Ukraine, director of the National Institute for Strategic Studies Rostislav Pavlenko at a briefing, Ukrinform has reported. “It is often alleged that other local Churches do not take seriously the fact of the creation of an independent Ukrainian Church. And this is not the case. We see that most of the local Churches took the position of neutral and positive expectations," he said. Pavlenko stressed that the recognition of the Ukrainian Orthodox Church by other Orthodox Churches proceeds in line with the canons, under which the head of the independent autocephalous Church should apply for such recognition after his election. At the same time, he reminded that the agreement on cooperation and coordination signed on November 3 between President Petro Poroshenko and the Ecumenical Patriarch Bartholomew, among other things, also implies the support of the Ecumenical Patriarchate for the recognition of the UOC by other Orthodox Churches. As it was previously reported, President Petro Poroshenko and Ecumenical Patriarch Bartholomew signed an agreement on cooperation and coordination between Ukraine and the Ecumenical Patriarchate in Istanbul on November 3.